Home Commercial ESI Gambling Report: Where’s the value in Chongqing? 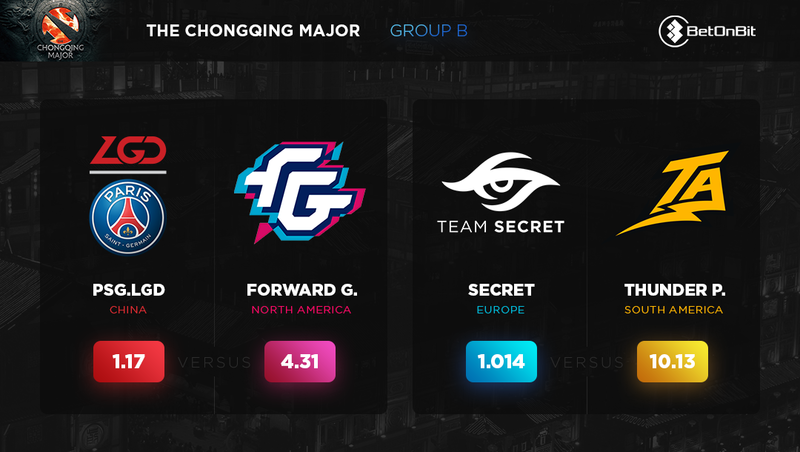 After what seems an eternity, the Dota 2 Pro Circuit (“DPC”) returns to action this weekend with the much maligned Chongqing Major over in China. Despite the pre-event controversy, there’s top tier Dota to be played and the casual sum of $1,000,000 to be played for. The winner will take home a whopping $350,000, and, perhaps more importantly, 4,950 DPC points. Ultimately, DPC points will be used come the end of the year to decide the teams that qualify for the biggest money event in esports – The International. The crowd-funded Dota 2 tournament consistently boasts record breaking prize-pools with OG each becoming multi-millionaires following August’s victory. In this week’s ESI Gambling Report, powered by BetOnBit, we break down the group stages of the first Dota 2 Major of 2019. 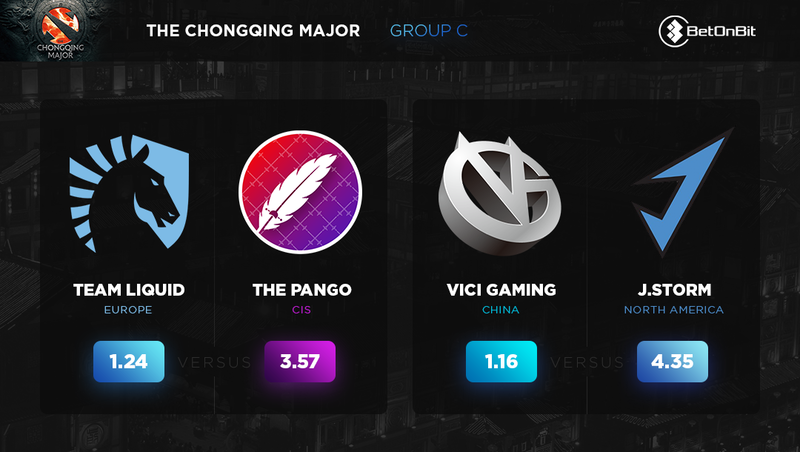 The overwhelming favourite for Group A is undoubtedly the well-oiled CIS machine in Virtus.pro. 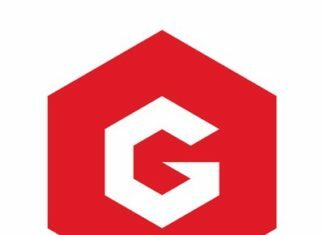 The outfit, sporting their fresh new logo for 2019, will be headed to yet another Major with high hopes of taking the top prize. They head into this tournament off the back of victory at the Kuala Lumpur Major and thus already have made very firm steps towards making it to Dota’s biggest competition. VP’s first game come against EHOME and it could prove a potential banana skin. The Chinese outfit will be playing on home soil and are fresh off victory in the Bucharest Minor which booked them their spot in the competition. They’ll be feeling confident so 2.93 looks generous for those who like to back an underdog. 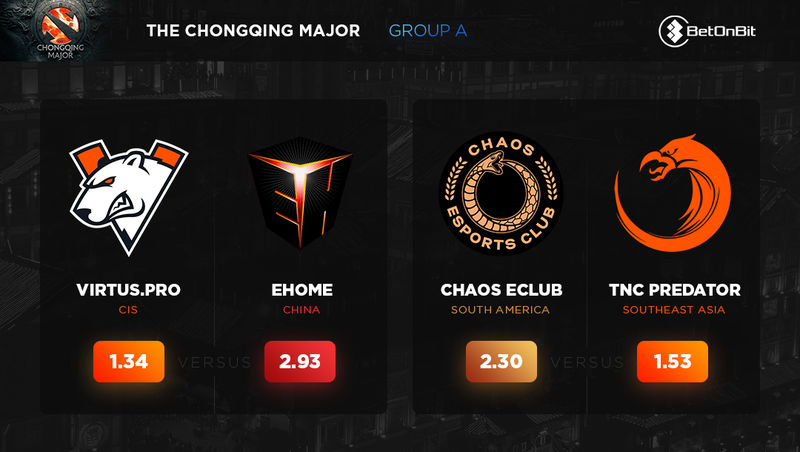 Similarly, there’s definitely value in Chaos Esports Club to conquer TnC Predator. One would assume Chaos will be buoyed by recently being picked up by the organisation that was once a runner-up behind arguably the best Dota 2 team in history – Wings Gaming – at The International. TnC will be playing with a stand-in given the drama surrounding their normal player KuKu and that is a heavy blow for any roster heading into a big tournament. Maybe it’s just us that love to back an underdog – but at 2.93 and 2.30 – the two may well be worth a dabble in a double. Whilst there was value aplenty in the first group under consideration but it’s safe to say there’s not quite the same on offer here. It’s rare we see odds as short as 1.014 but Team Secret are clear favourites for a reason – with the South American outfit Thunder Predator just not up to their European counter-parts standard. Equally, The International 8 runners-up PSG.LGD should edge past Forward Gaming with relative ease. This one looks a little dull until Secret and PSG match-up and that will likely decide the group winner, with the European outfit probably marginal favourites going into that one. Now here’s another tasty ones as there’s definitely a potential banana skin here with Team Liquid missing star-player Amer “Miracle” Al-Barkawi as he can’t make the tournament due to personal reasons. There’s plenty of talent left in the TI7 winning roster, but it’s important not to underestimate the effect of a stand-in. The stand-in is Shadow, but there could well be a language barrier and communication is absolutely vital in a game as complex as Dota 2. There’s most definitely value in The Pango at 3.57. The other game is an interesting one, given J.Storm used to actually be Vici J Storm – and they face off against Vici. The Chinese outfit should be too strong there, so 1.16 seems fair. This group very much looks like the battle of Monster Energy. With Evil Geniuses, Fnatic and Alliance all sporting the famous refreshment brand, this will be intriguing. But who will come out sugar-free? Ignoring poor puns, Evil Geniuses should beat Aster but often bottle it when it comes to the big stage. 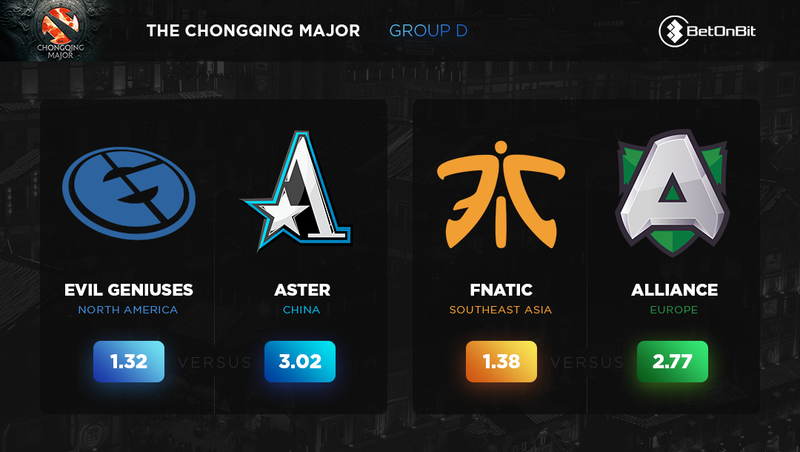 Fnatic’s new-look roster looks exciting and given Alliance haven’t really shown anything to suggest they will defy the odds – 1.32 for EG and 1.38 for Fnatic would be our picks here.